Yesterday I got my first brief glimpse of the Meroe pyramids. 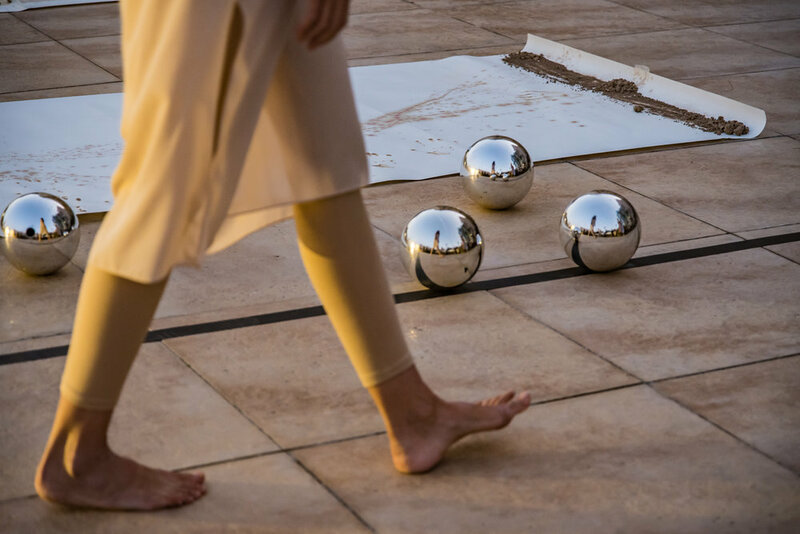 Moving performance by Aslı Bostancı in Istanbul at Anamed for performance project “ONE” by Nazlı Gurlek. 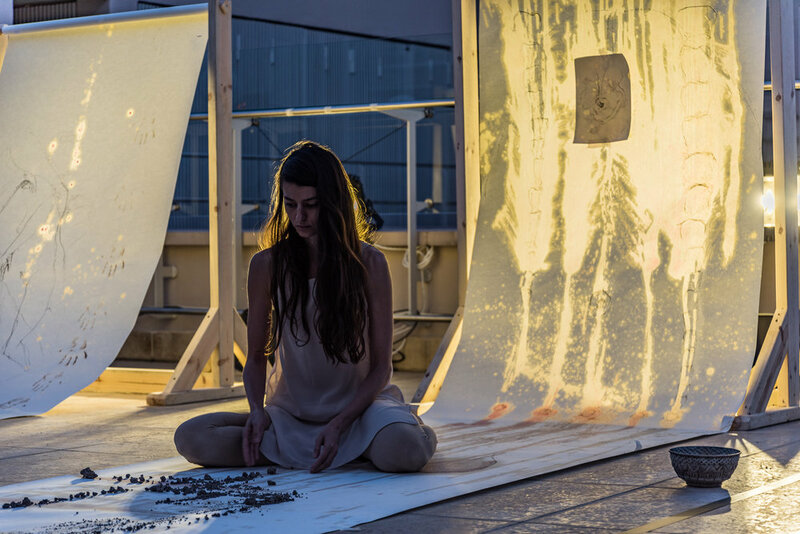 Nazlı creates a contemporary ritual to encourage contemplation of art in everyday life, inspired by a 8500 year old Neolithic wall painting at Çatalhöyük. Workers haul away side panels removed from the South Shelter. Excavation team cleans the South excavation area for the new season. Thaer and Jerrod remove mudbrick wall collapse in the South excavation area. Ahmed installs wifi network in the South Area for connecting to excavation database on site. Onur and Numan clean Building 160 to start the 2017 excavation season. 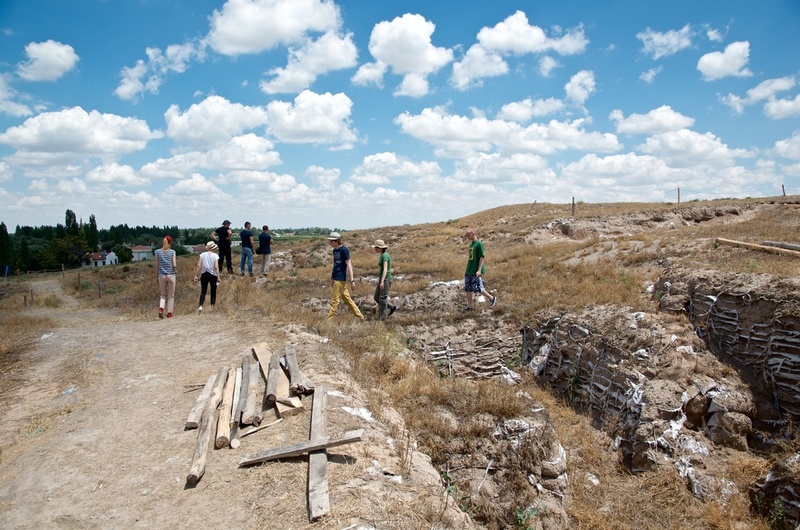 Excavation team cleans the South excavation area for the new season while children visit the site. 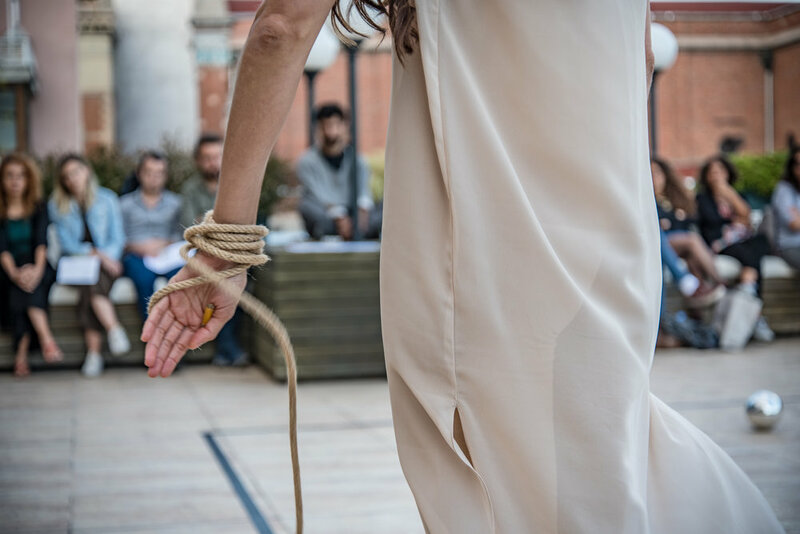 Cristina and Nada clean the South excavation area at the beginning of the 2017 season. Jerrod, Thaer, and Ahmed clean the South excavation area at the beginning of the 2017 season. Marek, Arek, and Duygu clean at the bottom of the South excavation area at the beginning of the 2017 season. 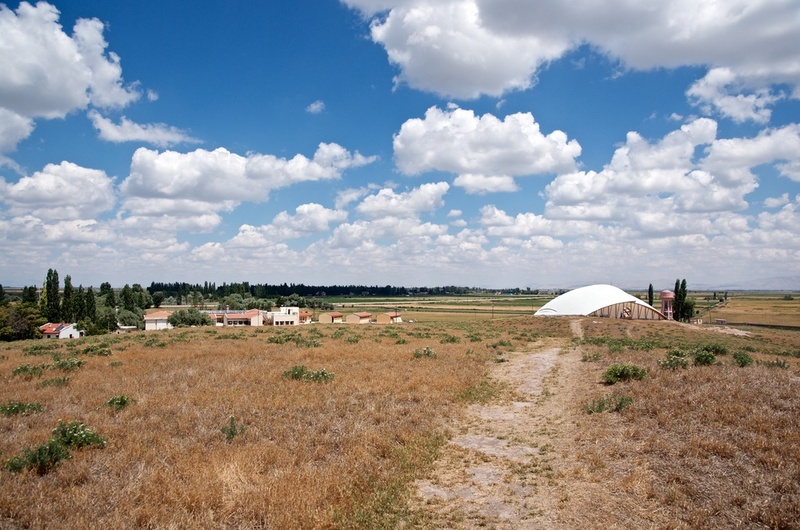 Today on site at Çatalhöyük as the 2015 excavation season gets into swing. 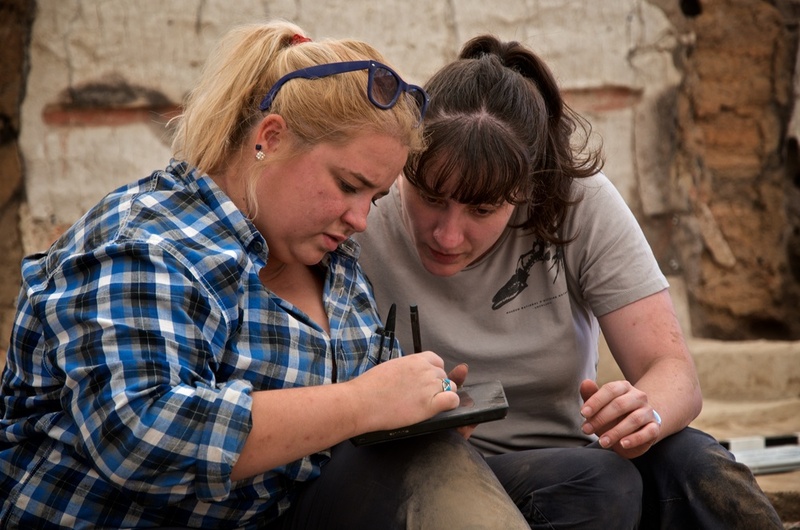 Testing out a new dig camera on site today as the team assembles for the 2015 excavation season at Çatalhöyük. Last Fall I had the opportunity to work with some great field school students at Karanis, a Ptolemaic settlement in Fayum, Egypt. While documenting the excavation for the Fayum Project, I shot some footage for the Institute for Field Reseach, which has just released a new video profiling two of our students. Natasha and Suzanne Evans tell their own stories of facing arcaheological research challenges first hand. 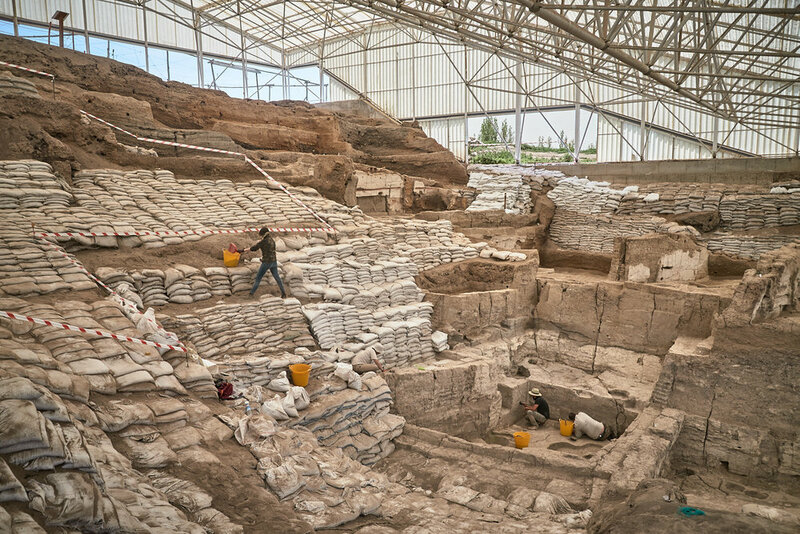 Last summer writer Robert L. Stauss visited our excavation at Çatalhöyük to do an article for Stanford Magazine. The story has just come out, and I'm happy to see good use was made of my photography. Front image of the article in Stanford Magazine. 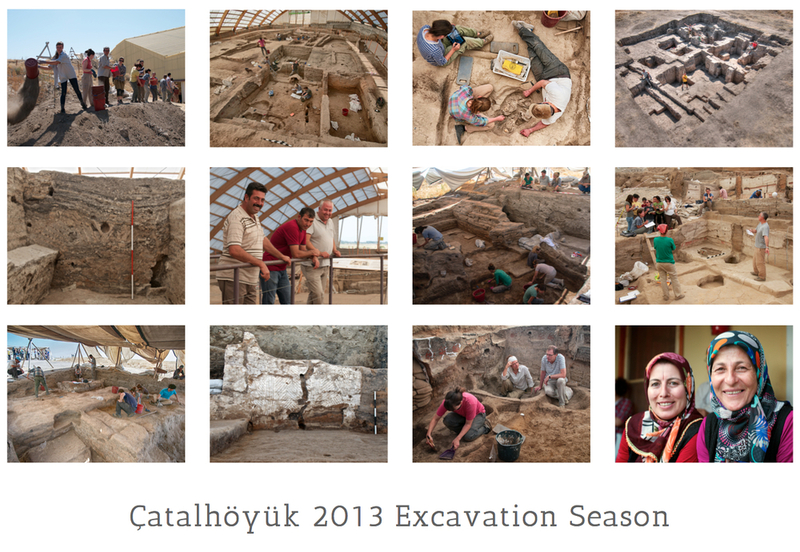 For those of you who've missed it, the Çatalhöyük 2014 calendar is still available for order. 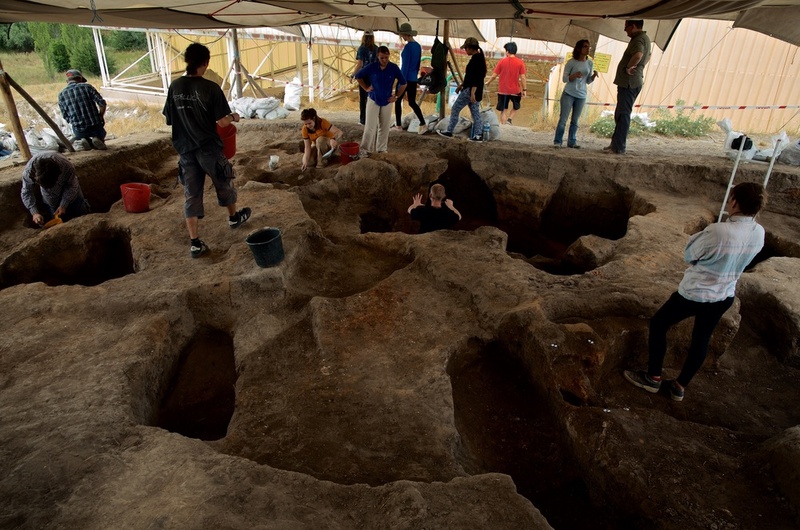 It showcases the team's work from the 2013 excavation season, with each month highlighting the ongoing work and people invovled in the project. 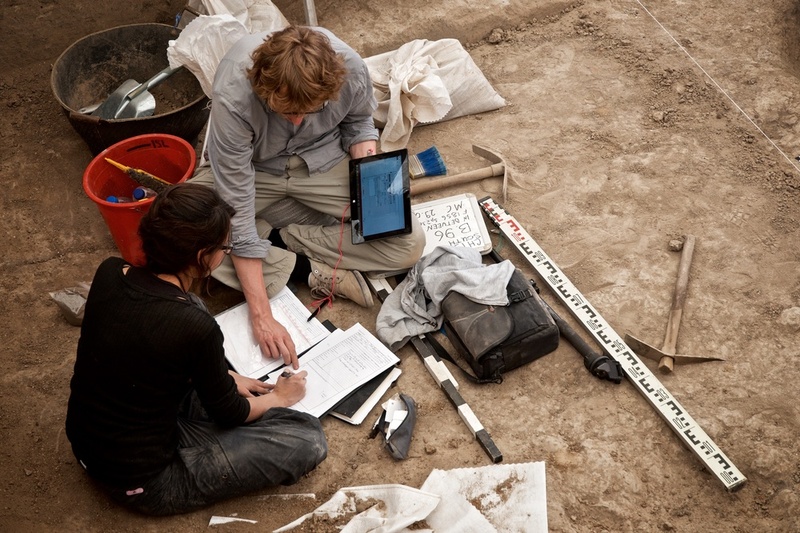 Burcu and Ian discuss excavation plans in Building 77 (North Area) during the last days of the 2013 season. In the foreground, Renata cleans her area for a photo. Chris helps Kasia with a skeleton removal in a Building 80 burial (South Area) as Justine logs details. On going excavation in Trench 3 of the TP Connection area just East of the South Shelter. Wide view of the North Area excavation underneath the shelter. 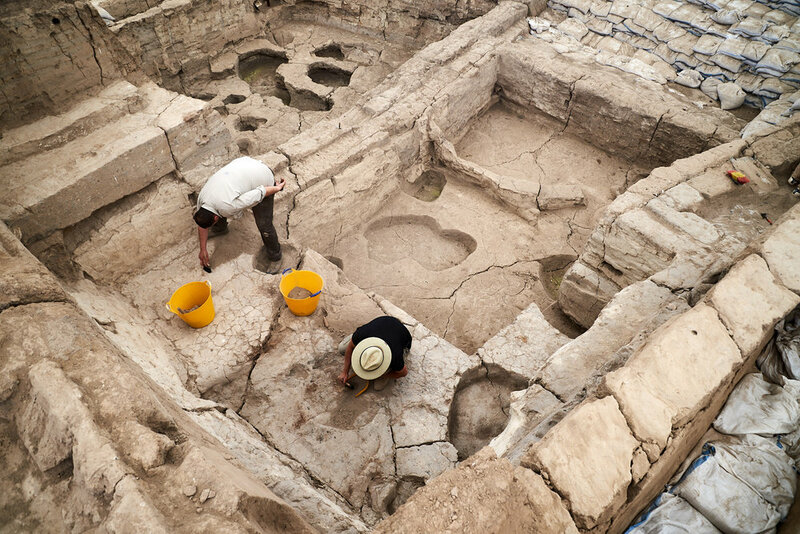 After team members trickeled in of over the past week, the 2013 excavtion at Çatalhöyük began two days ago, as the site gets cleaned up and prepared for the new season. I’ll be giving a talk on archaological photography at UCLA on May, 17th as part of the Cotsen Friday Seminar series. 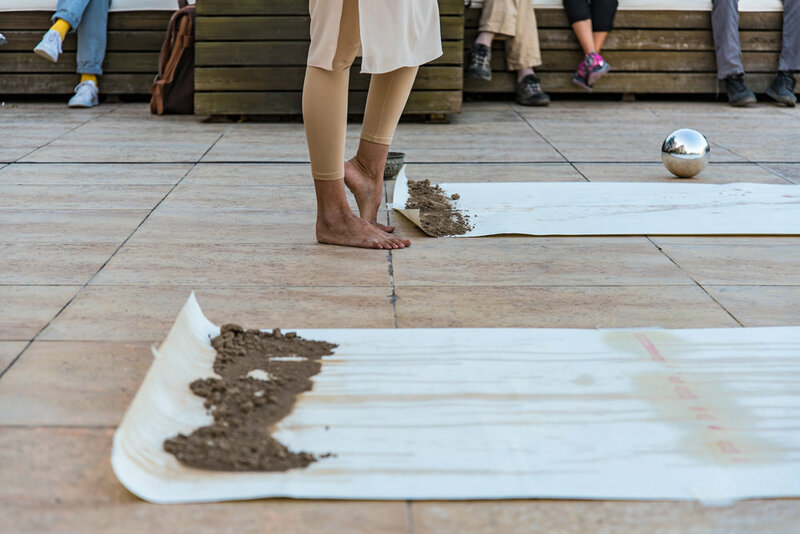 My aim is to present practical approaches to improve site and finds documentation during excavations. I'll also explain an accessible methodology for making 3D reconstruction models from 2D images. Impressive photography of Turkey in transition by George Georgiou. Take some time with it. Truly inspiring documentation. I recognize so much from my own travels in Turkey and it puts me to shame I haven't made even an attempt at such an effort. 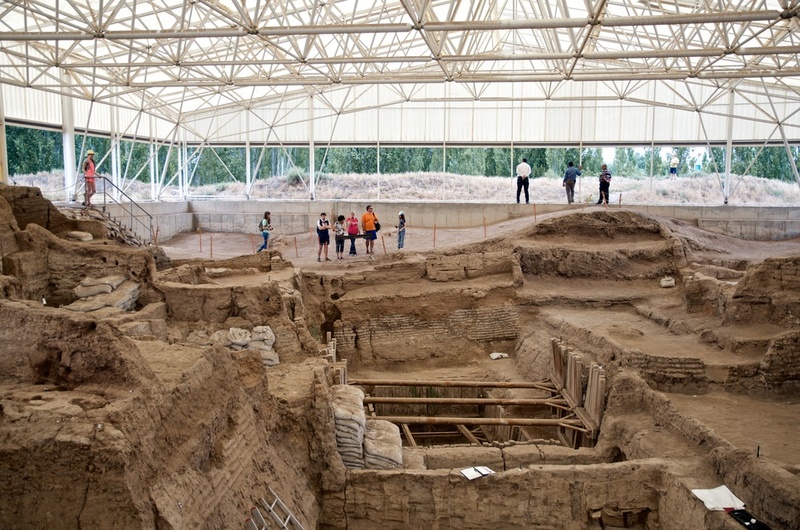 Long overdue, I've added some selected images from Çatalhöyük to my website. 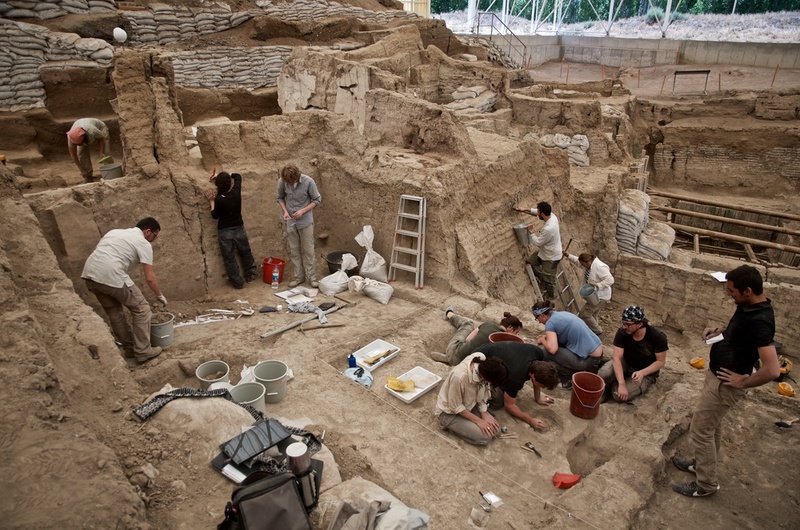 This is a small sampling of excavation, finds and portrait images from the collection. I got a little carried away with the portraits, but I couldn't stop myself. There are many more people I want to include, as well as excavation shots. Check back later for more. 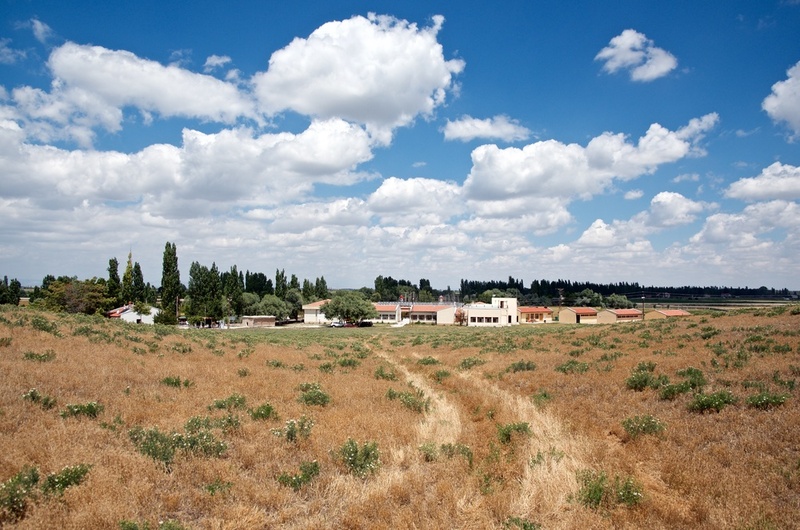 Some of my photos documenting Çatalhöyük were featured in a New York Times slideshow. 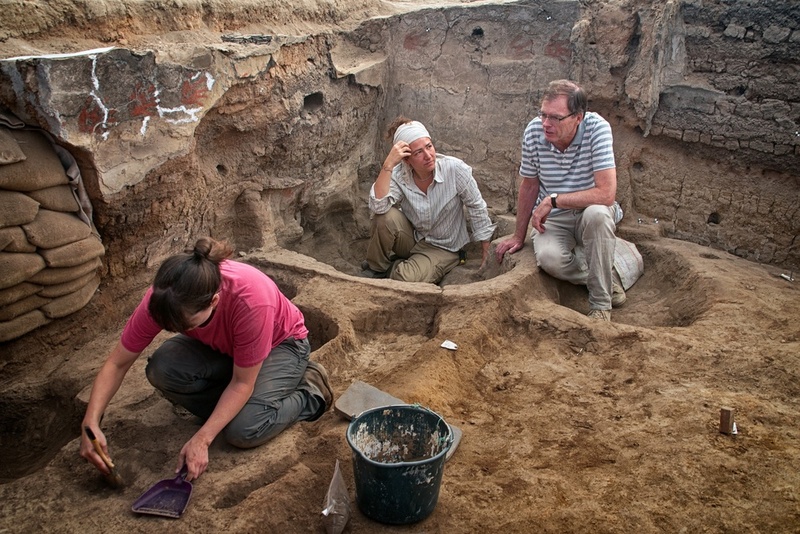 The related article by Susanne Fowler is Into the Stone Age With a Scalpel: A Dig With Clues on Early Urban Life. The daily journey to work in Giza. Just before 7:00am every morning we would pass through the gates on our way to the AERA lab and storage area. We were lucky to pass by the pyramids so early in the day, while it was still peaceful without all the tourists. 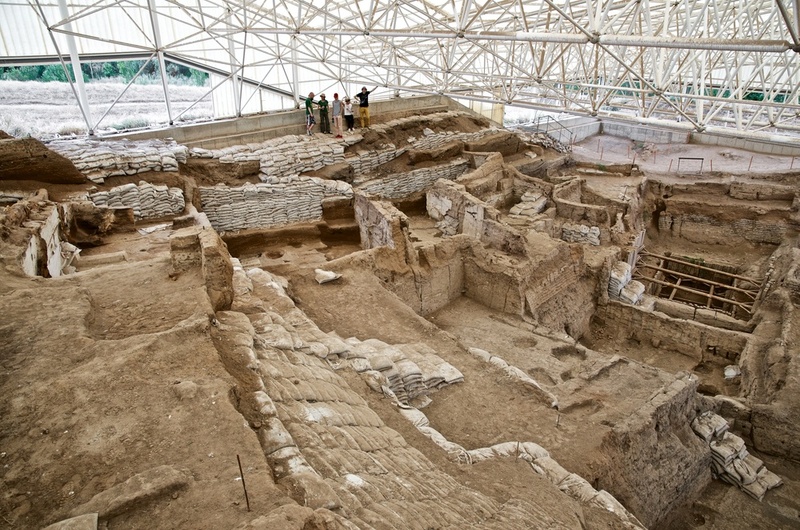 Finally all those interested in the excavations at Çatalhöyük, from team members to the general public, can now connect together on Facebook. Building 80 QTVR, originally uploaded by catalhoyuk. 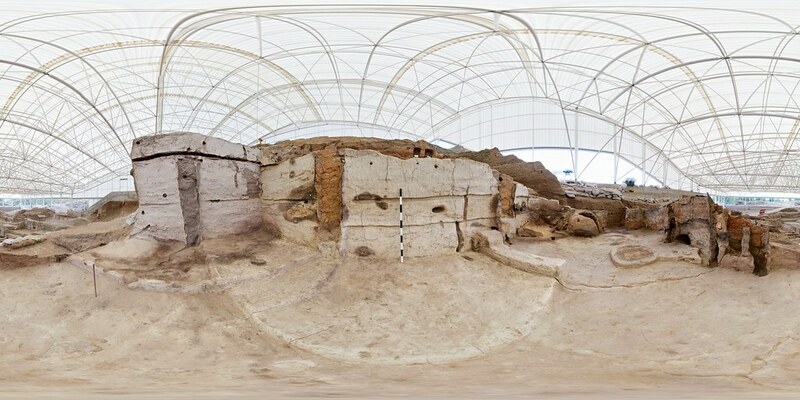 After posting a QTVR of Building 80 from this past summer's excavation season to the Çatalhöyük website, I thought I'd also share the flattened equirectangular 360 image it was based upon. The Whole Family, originally uploaded by jpquinlan. 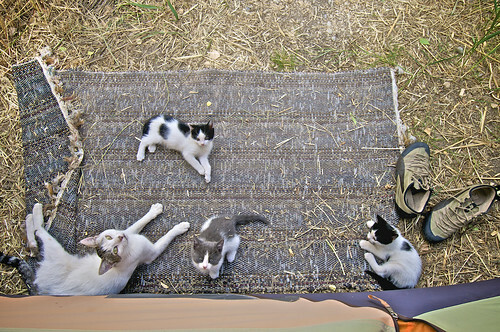 In 2009 my tent and I were adopted by a mother cat and her three kittens. Initially cautious, they eventually setup camp on my front mat, becoming a welcome sight after a day's work at Çatalhöyük.